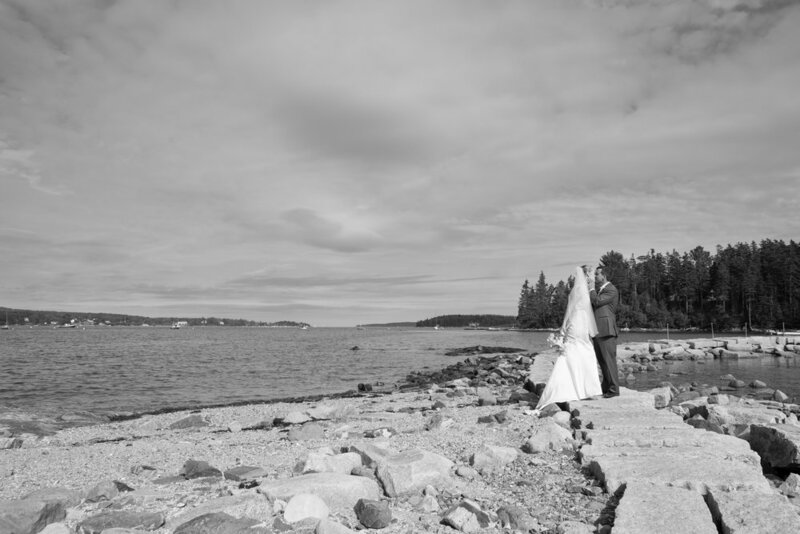 Saturday started out cloudy -but beautiful- as Lindsay and David began their morning preparing for their 3pm ceremony at the Causeway Club in Southwest Harbor. 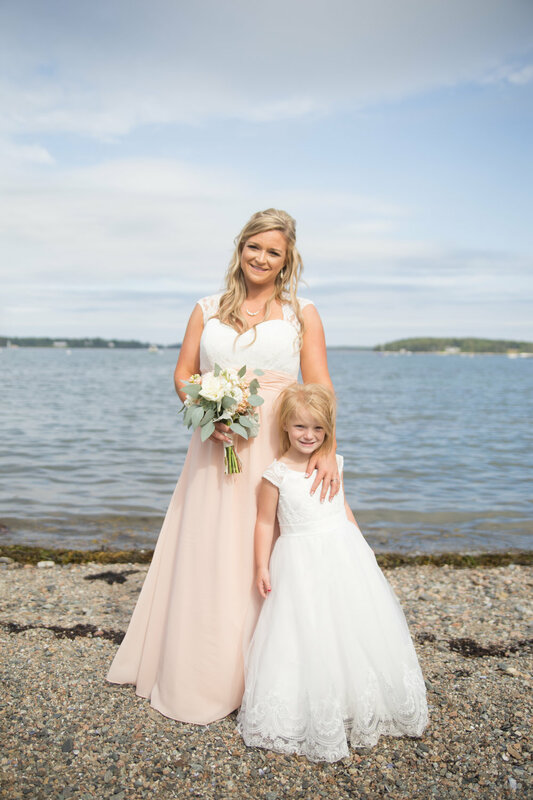 Lindsay and her girls were getting ready at one of the most prestigious hotels in Bar Harbor-Harborside Hotel. They were enjoying champagne and laughing as their make up was applied with a beautiful view of the Atlantic Ocean. 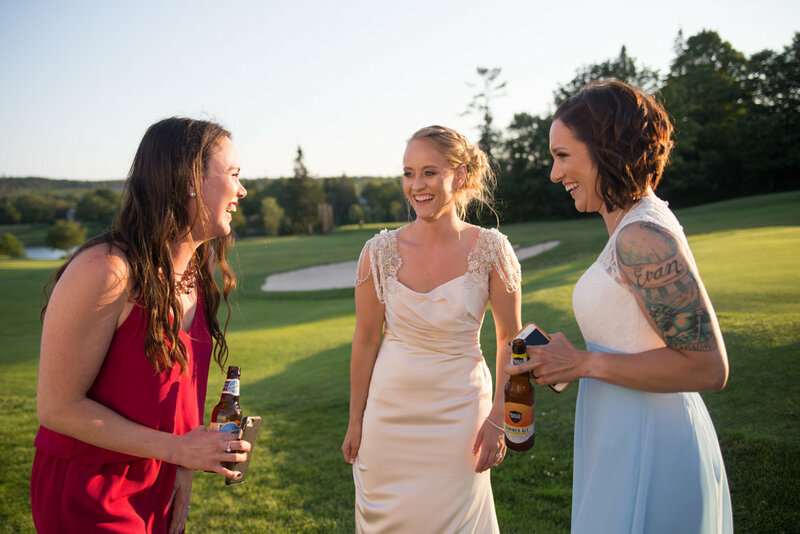 The girls enjoyed each other's company and laughter as they excitedly awaited Lindsay's big day! They played “Strawberry Wine” by Deana Carter as a throwback to their cheerleading days- which sparked some memories! Little sister, Bailey, kept Lindsay company as she sat in the make up chair. The two kept each other busy with laughter and traditional sister chit chat! Lindsay and her mom looked more like sisters than mother and daughter! We enjoyed photographing the two of them together as they share the same ice blue eyes. We had the pleasure of seeing a sneak peek of Lindsay's dress when she first made the purchase last year...we were immediately in love and could not wait to see it in person! The time came for Lindsay to take her gown out of the bag and just as we had thought it was perfect! Even more gorgeous in person! It was off-white and with exquisite detailing. She had beautiful beaded cap sleeves that hung delicately off her shoulders. The back of her dress was lace with beads and gem detailing along the ruffles. Her bouquet was one of favorites of this year so far! 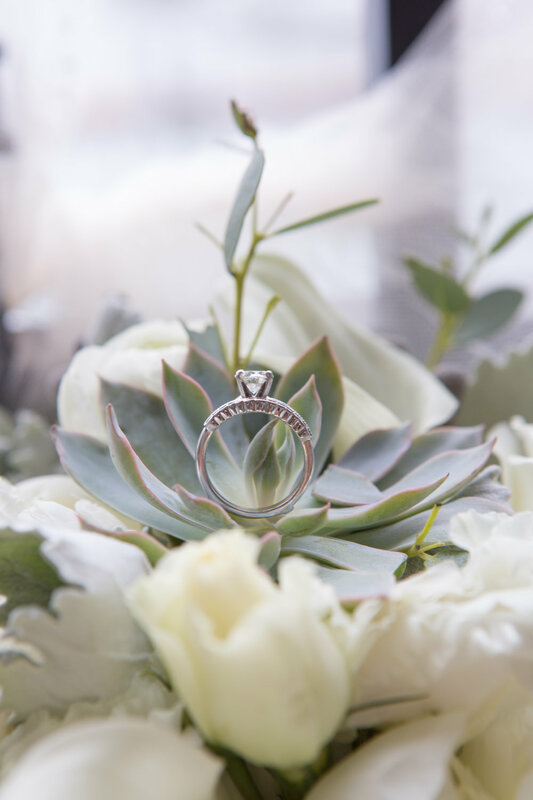 The gorgeous plush white roses alongside the soft green succulents went perfect with the dress! 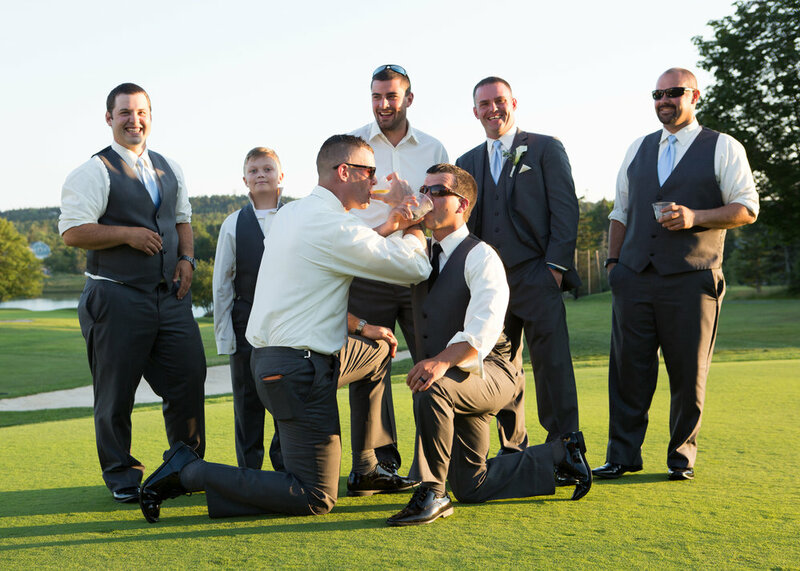 Dave and his groomsmen were just down the road from Lindsay and her girls, enjoying their cold Bud Lights as they reminisced about the previous night and the escapades they had while growing up. 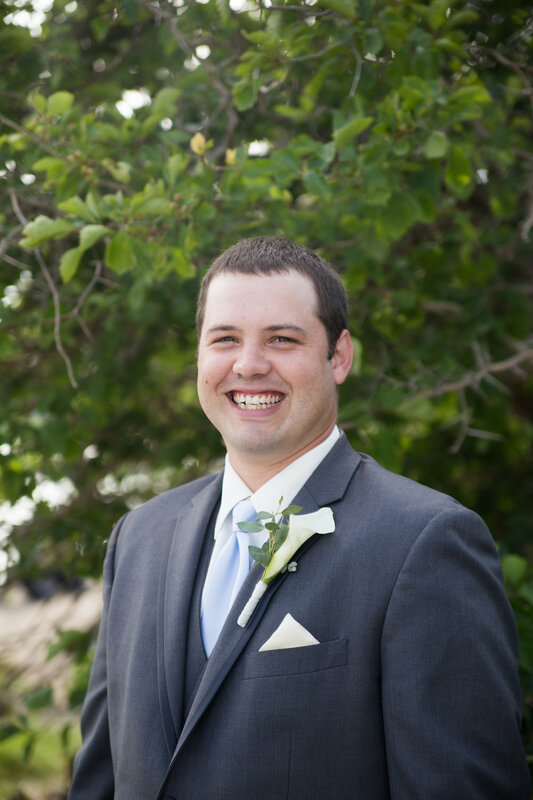 Dave sported a huge smile and lots of laughter alongside the closest men in his life to help celebrate his big day. Anyone who knows these boys knows all too well how playful and rowdy things can get- this lead to some fun candids for Robyn! 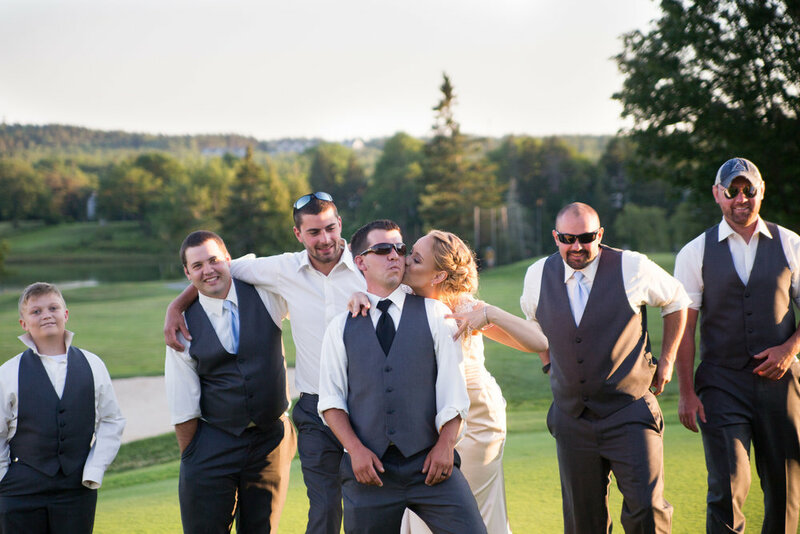 Once the guys were ready they gathered in the limo and headed to the Causeway Club to set up chairs for the ceremony. They set up the table holding bubbles and programs before lining up the chairs. All of the little details were perfectly planned and admired by all. The weather couldn't have been more perfect for the ceremony. 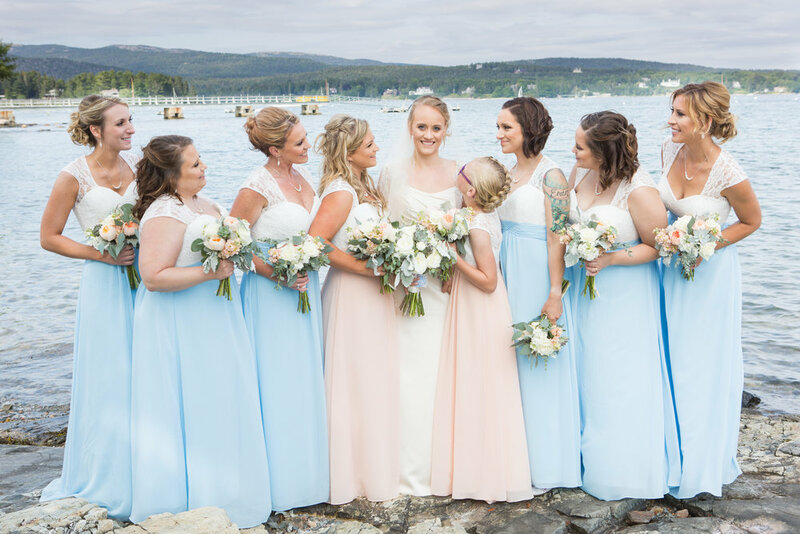 The sun and clouds provided the best light along the water to marry all the summer decor just right. The ceremony began with David and his groomsmen lined up at the alter. Bailey was the first to walk down the aisle, and the rest of the bridesmaids followed. 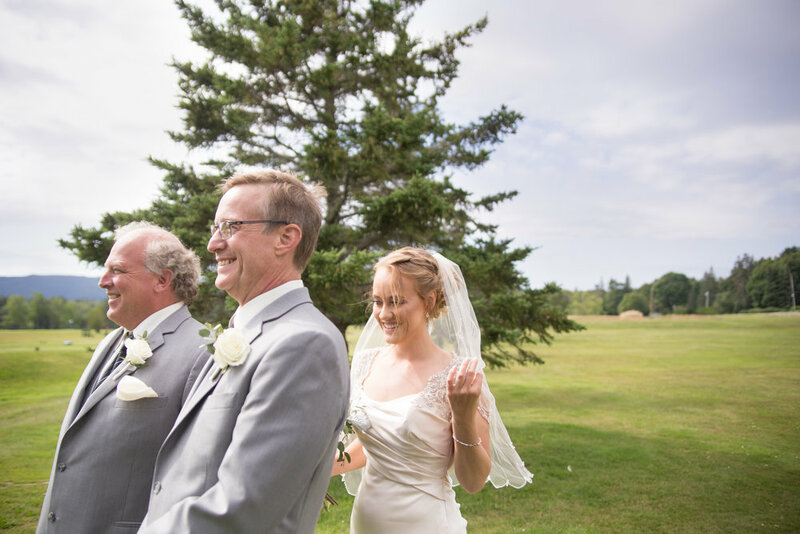 Lindsay was shielded by both her father and stepfather to ensure the guests would not see her until the timing was right. 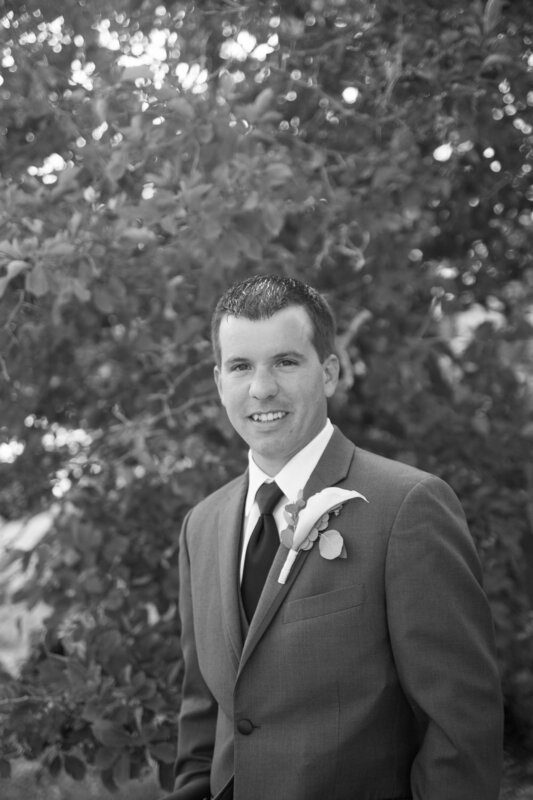 When it was Lindsay's time to walk down the aisle we all couldn't help but notice David becoming emotional as he saw the love of his life walking towards him. One of our favorite moments! 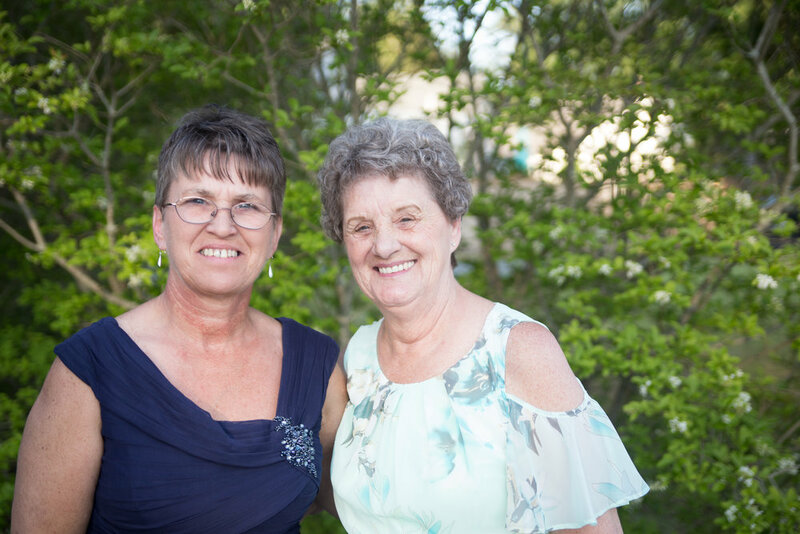 Once they were joined at the alter, Lindsay’s aunt and godmother read a marriage blessing. 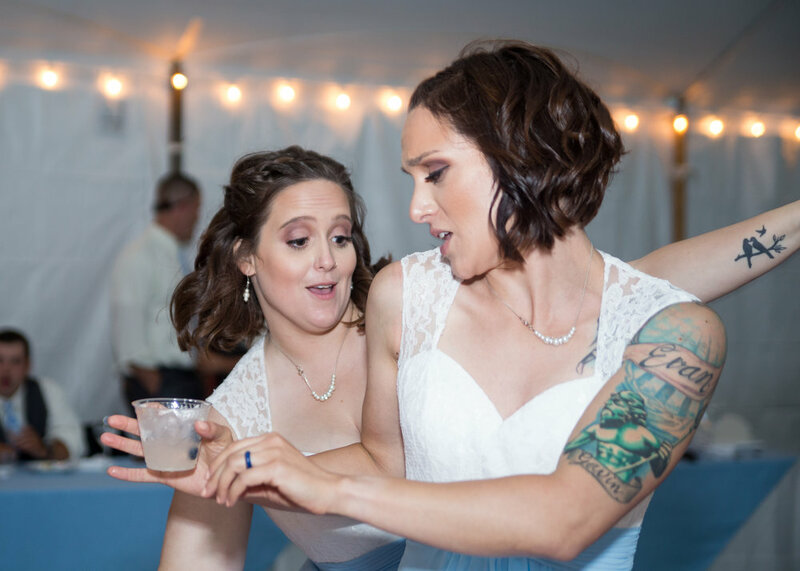 The couple then completed a sand ceremony, choosing blue and white colors, pouring the sand into a glass box combining their love as one forever. The couple sealed their vows with a kiss and made their way up the aisle as they were pronounced “Mr. and Mrs. Whitman.” The light on Lindsay's face and the excitment in her eyes were very apparent as she made her way arm and arm with David! As all of the guests headed to cocktail hour, the Newlyweds and their wedding party went to have their formal photos taken! And oh boy the view!! Hannah mentioned several times about how incredible the lighting was and how perfect of a backdrop it was making for the images. Once all of the family photos were done it was time for just Lindsay and David. They clearly were enamoured with one another. So playful and in love! Lindsay had the most beautiful smile and Dave brought that out in her. He made her laugh the entire time and we loved that! 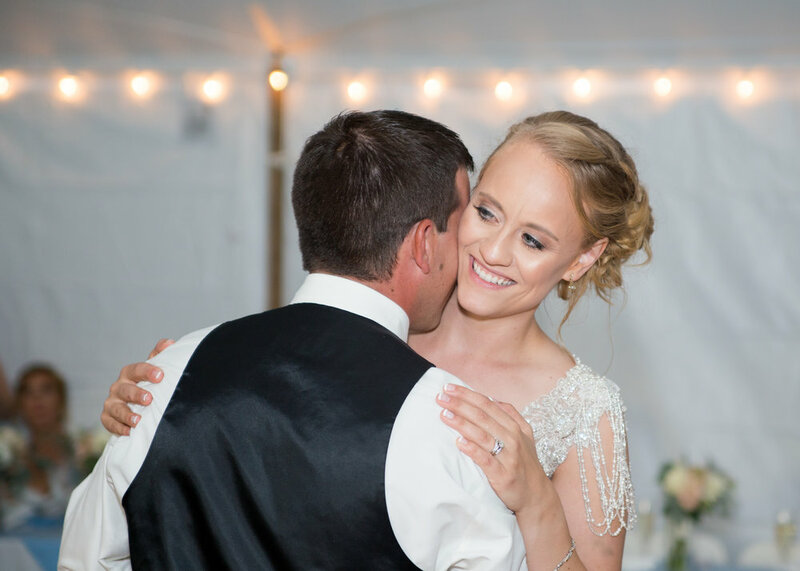 It was easy to capture the kind of natural love Lindsay and David shared. Mr. and Mrs. Whitman, along with their wedding party, were announced into their reception with Justin Timberlake’s “I’ve Got The Feeling”. They danced their way through the crowd! Such a fun group of people! Once dinner was finished it was time for more of the formal pieces of the wedding reception to begin. Lindsay’s dad, Steve, and her step-dad, John, gave welcoming speeches for everybody. There were laughs shared and some tears shed. 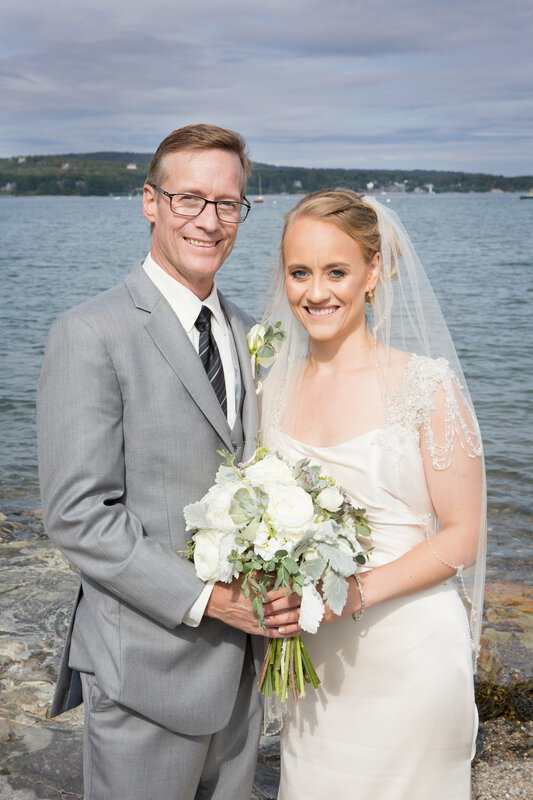 Lindsay & Dave were glowing with happiness to hear all of the kind words and support given by her father and step father. 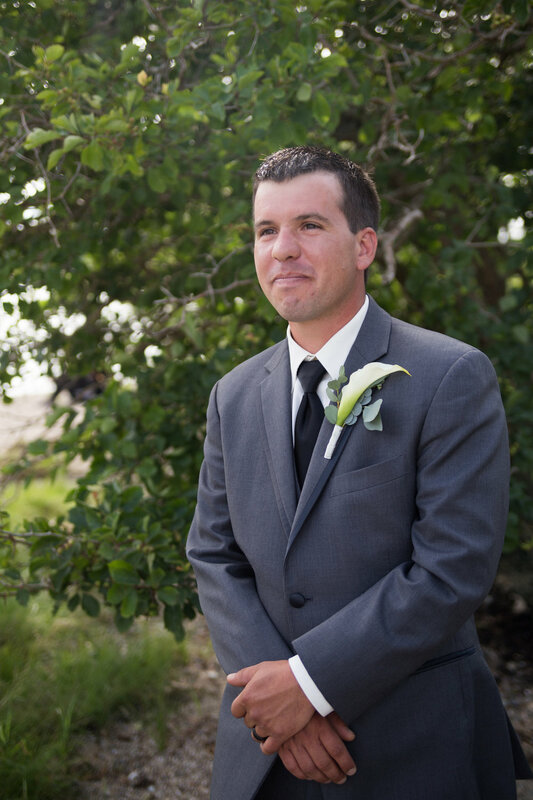 Jordan, David’s best man, explained that he and Dave had been best friends forever. He spoke of their time growing up together and that as adults they shared annual fishing trips. 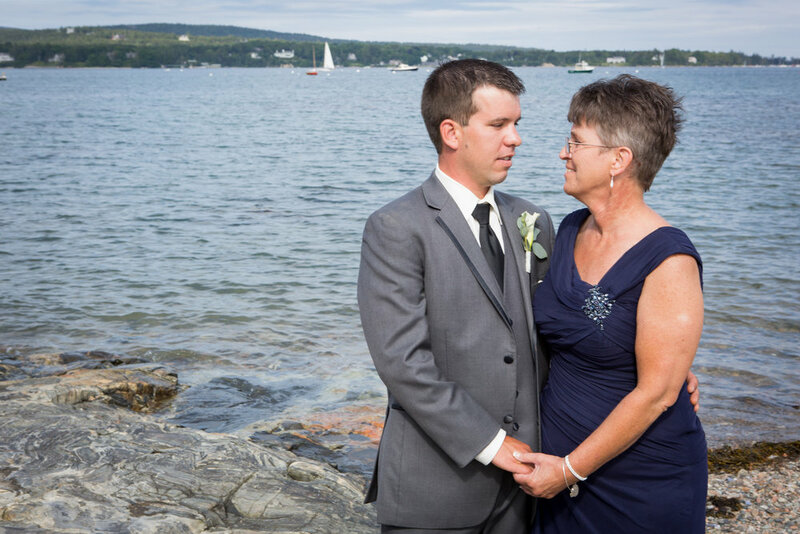 He also shared Dave’s nickname - The Maine Atlas - for his vast knowledge on the State of Maine. He said Lindsay was the sweetest girl he has ever met and he was very happy for Dave. 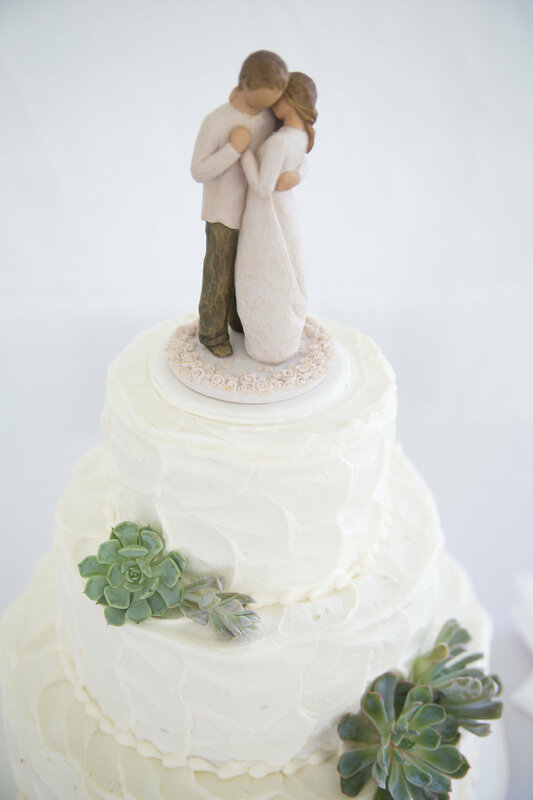 Lindsay and David had a beautiful, simple cake- white with a few succulents to tie in their bouquets and theme. They sliced into their cake and despite shouts of “shove it in his/her face!” the duo sweetly fed each other bites, followed by a kiss. David, along with many of his friends from the class of 2004, were excited to gather for a group photos! What a special photo for all to have. 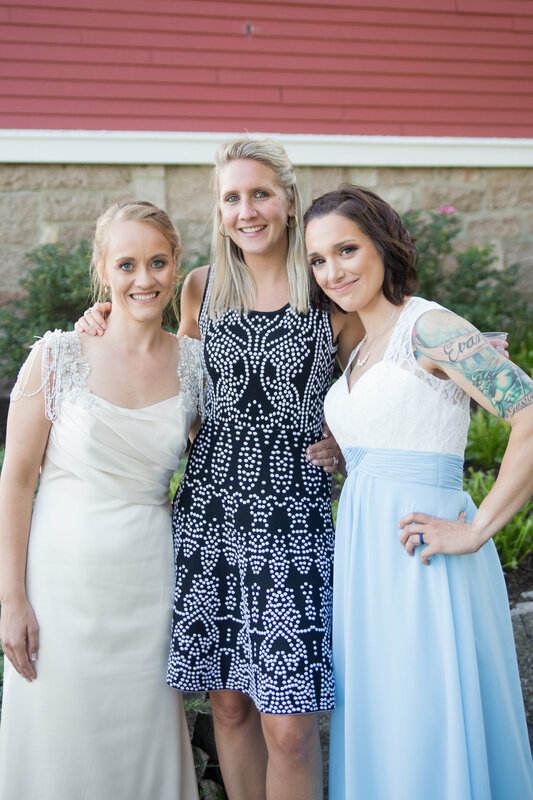 Lindsay was excited to introduce us to her old college roomate and all friends who came to support her on this day! It was fun gathering all their loved ones for group shots- so many awesome people in attendance! We really enjoyed seeing some we knew and meeting those we did not! The newlyweds united on the dance floor for their first dance. One of our favorite parts of the whole day! The couple danced like they were the only people in the tent. They pressed their cheeks against one another swaying to what would be their forever song. They laughed and shared kisses while enjoying an intimate moment together. Once the cake was served, and the special dances were done, everyone hit the dance floor! Guests jumped up onto the floor excited to dance with the new bride! Lindsay was having the best time! 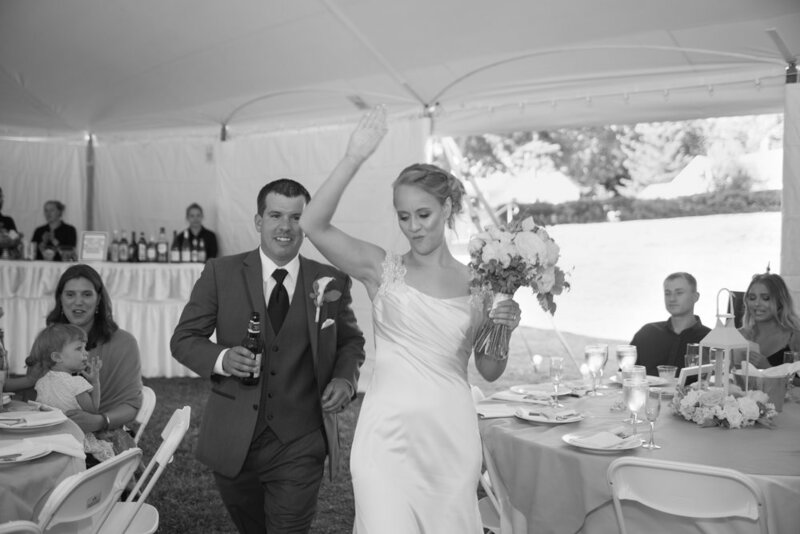 We love seeing the bride dancing in her white gown- there's something so fun about it! 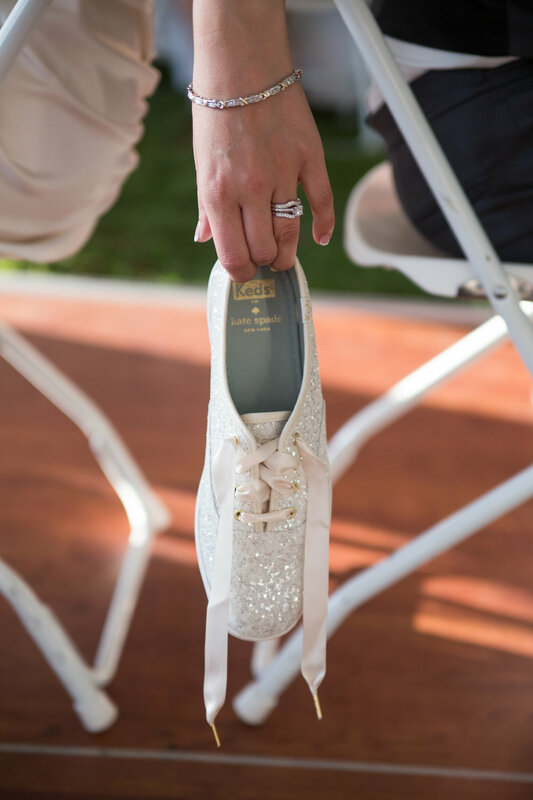 Not to mention she was sporting white glitter Keds ;). As you all know, Lindsay is one of the nicest people in the world. 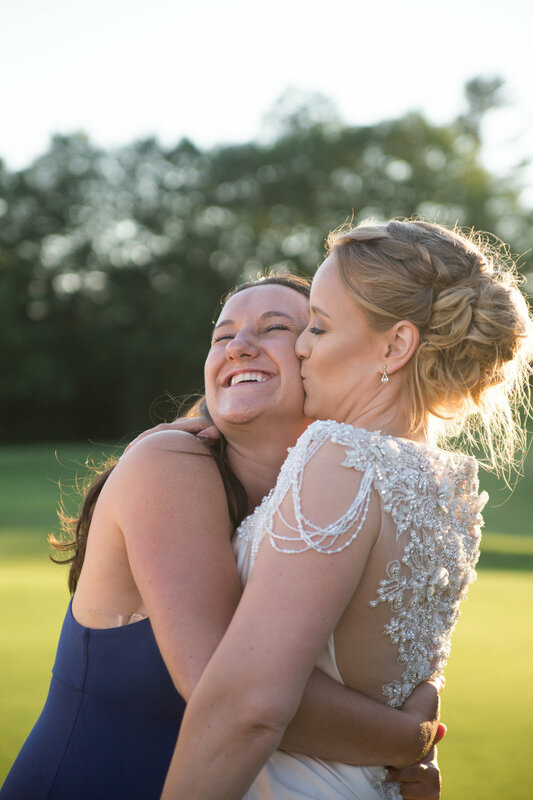 She was one of the most amazing brides we have ever met and had the pleasure of working with. From the moment we showed up into the end of the night, she was overjoyed to have us and that made the entire experience with her memorable. 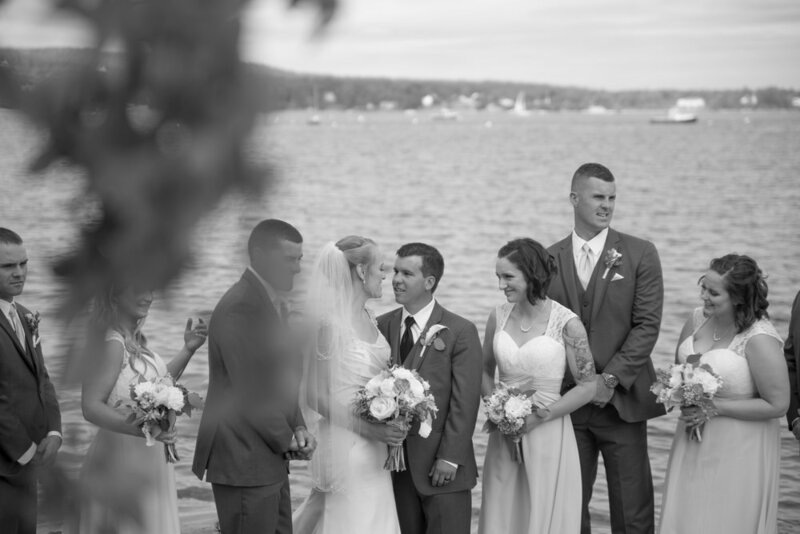 Hannah grew up with Dave so she was eager to be the one capturing one of the biggest days of his life. We really enjoyed our time spent. Thank you to all family and friends for accommodating us! 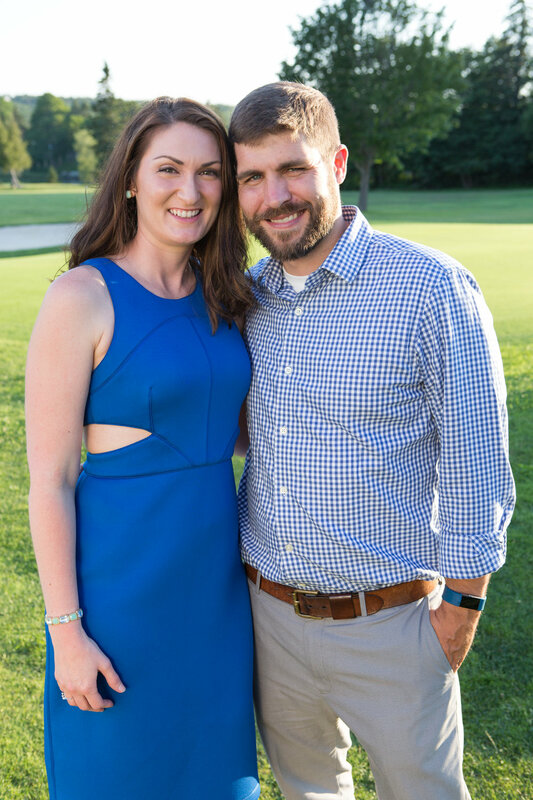 Thank you for sharing your special day with us! Jane Austen wrote, “My heart is, and always will be, yours.” It is clear that the two of you are meant to be. We enjoyed seeing you two together and the love you share!